Mutual Funds Best Option for Most Investors — More Than Your Money Inc.
For most investors, mutual funds are a better option than individual stocks. 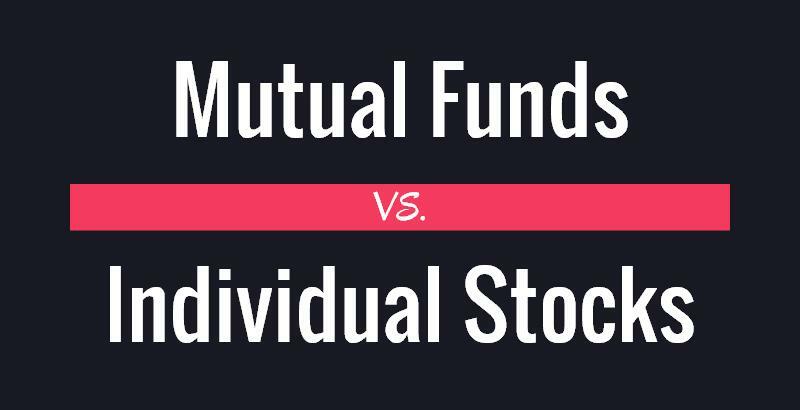 The decision to invest in mutual funds or individual stocks depends on the size of your portfolio, your investment knowledge, your level of involvement, your risk tolerance and your tax situation. Many investors don’t have enough money to adequately diversify their portfolio across a wide range of individual stocks. To gain true diversification, you need to invest in many companies of different sizes, in different industries and in different regions of the world. Mutual funds enable you to gain broad diversification by pooling your money with a large number of other investors. Additionally, mutual funds are professionally managed, making them ideal for individuals with limited investment knowledge or limited time to research and monitor individual stocks. Most mutual fund companies have complex computer programs and a large staff of managers and research analysts who analyze financial reports, visit companies and keep tabs on the business climate. It is difficult for most investors to devote the time, commitment and money needed to create and maintain a well-diversified portfolio of individual stocks. Professional managers also have access to more timely information. Many investors are tempted to trade individual stocks based on current events. This is usually ineffective because the market quickly responds to new information.What appears to be breaking news has probably already been factored into the price of the stock. Additionally, when investing your own money, it’s difficult to remain objective. It’s human nature to emotionally react to changes in the market and become attached to specific stocks. Mutual fund managers, who invest vast sums of money for a large group of people they have never met, are better able to stay objective. Historically, investors who trade in individual stocks trade more frequently than mutual fund investors.Trading in response to short term market fluctuations can be detrimental to long term performance. Mutual funds are a better option for risk adverse investors. By investing in a diversified portfolio of mutual funds, most of the risk is derived from fluctuations in the overall stock market. A portfolio comprised of individual stocks carries market risk and a higher risk of losing money when individual companies, in whose stock you own, run into problems. Mutual funds are able to dissipate the risk associated with specific companies by investing in a large number of different companies. A disadvantage to investing in mutual funds is the management fee. Most mutual funds charge an annual management fee of between .15 percent and 1.2 percent. Another disadvantage is a lack of control on when you pay capital gains. This is especially true if you are in a high tax bracket and the majority of your money is invested outside of retirement accounts. When fund managers sell stock, capital gains must flow through to the investors as they are incurred, not when the fund is sold.